Nyquist is the odds-on favorite to win the 141st running of the Preakness Stakes at Pimlico Race Course in Baltimore, Maryland, on May 21. Exactly two weeks after the three-year-old colt won the Kentucky Derby, Nyquist heads into the second leg of the Triple Crown at odds of 3-5 to cross the finish line first. He’ll have nine fewer competitors to deal with this weekend, as a total of just 11 thoroughbreds will run the one and 3/16-miles race. 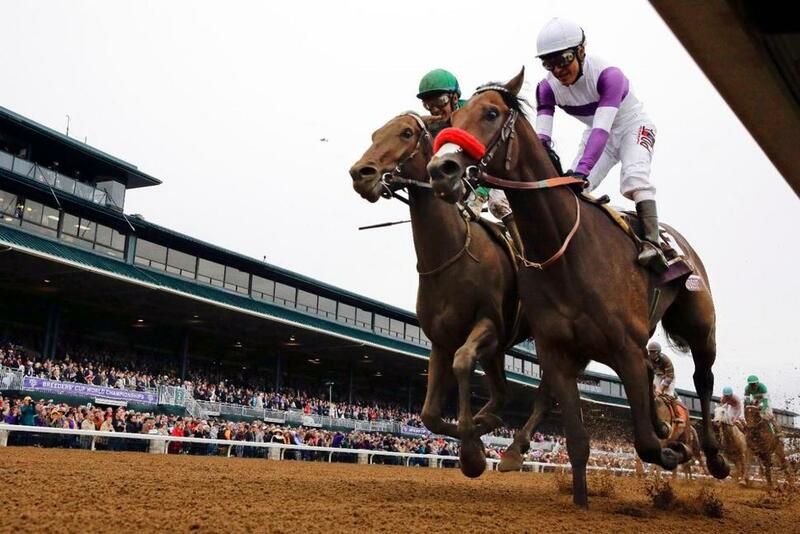 Though Nyquist entered the Derby as the favorite, the overall consensus was that at least four of the 20 horses had a realistic chance of being blanketed in roses in Louisville. After winning by one and quarter lengths in front of the second largest Derby crowd in history, bettors apparently now believe Nyquist has the chops to potentially become the second Triple Crown winner in as many years. 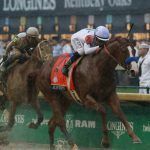 Famed trainer Bob Baffert, winner of four Kentucky Derbies, six Preakness Stakes, and two Belmont Stakes, has only praise for the favorite. “The only way we can beat him, he has to either not bring his ‘A’ game or [we] have some racing luck,” Baffert told reporters at Pimlico. The announcing of the post positions is the last significant piece of information bettors receive before the actual race, assuming an injury or significant event doesn’t occur. Posts are numbered from the railing outwards, meaning post position #1 is closest to the track’s infield. Post position #1 was once the most preferred lane. 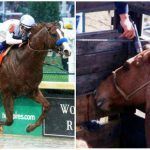 However, as fields expanded over the years the inside lane has become less desirable as it places a premium on the horse getting out of the gate quickly so not to get stymied by the pack. Nyquist’s #3 post position is ideal. It keeps him close enough to the rail while also giving him enough time to establish his gate and speed. Soaking rain is in the forecast for Saturday in Baltimore, with meteorologists estimating as much as two inches of precipitation could fall during the day. That will certainly make for muddy conditions, but Nyquist trainer Dough O’Neill isn’t concerned. Nyquist will also have a relative in the field with Uncle Lino. A long shot at 20-1, Lino’s father Uncle Mo is also the sire of Nyquist. But don’t look for Nyquist to hang around in the back of the pack for a family reunion with his long-lost half-brother. Instead, the frontrunner will likely be where his descriptive noun dictates: out front. “He’s a horse that gives off such positive vibes. He still continues to talk to us in his own way and he’s doing really well,” O’Neill declared. The 141st Preakness Stakes posts at 6:45 pm local time on Saturday. 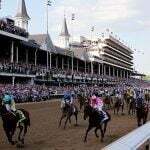 Kentucky Derby 2016: Does Anyone Care After Historic 2015?